Orlando Shutters, Blinds and More serves the central Flroida area with a selection of shades, shutters and blinds residential customers. 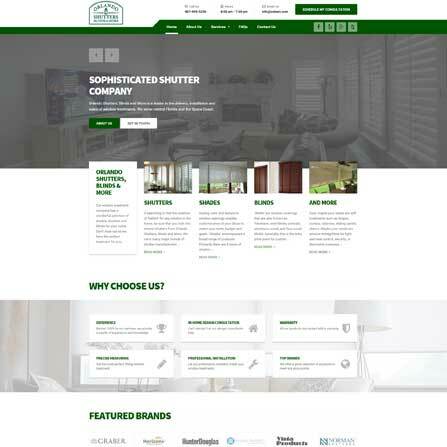 Orlando Shutters, Blinds and More needed a new website for his customers and Titanium Technology Solutions was able to provide a fresh new website in a matter of days. 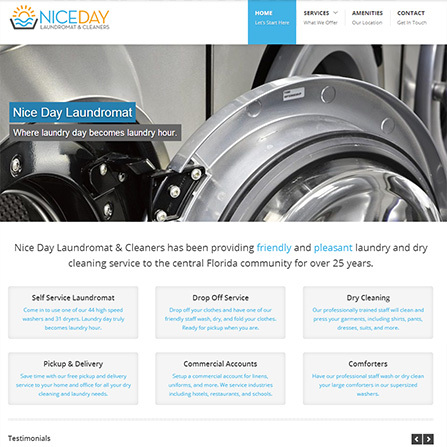 Nice Day Laundromat & Cleaners is a family owned laundry and dry cleaning service in central Florida who was looking to expand their online appearance. After a complete online branding, SEO, and social outreach solution from Titanium Technology Solutions, Nice Day saw an "immediate impact" on their business with an 30% increase in organic online referrals within the first few weeks. M.A.D.D. 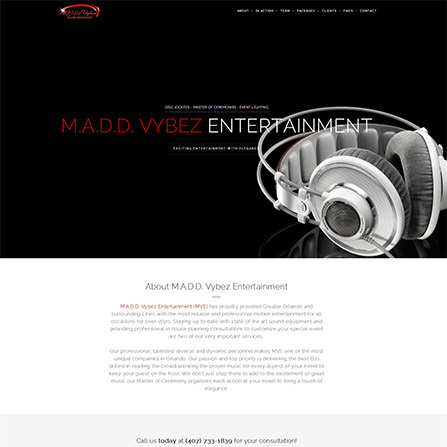 Vybez Entertainment (MVE) provides professional and compressive mobile entertainment in the Greater Orlando area and wanted their online image to reflect their professionalism of their state-of-the-art services. After countless consultations with MVE, Titanium Technology Solutions developed an elegant and modern Appearance to reflect the elaborate image of MVE. 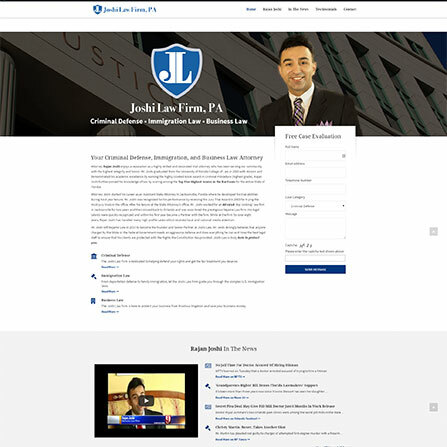 Joshi Law Firm, PA provides outstanding legal counsel and criminal defense to central Florida residents and needed a brand new website to showcase their qualifications and experience to new clients. In conjunction with onsite technology services, Titanium Technology Solutions was able to provide Mr. Joshi a online branding solution he was proud of. 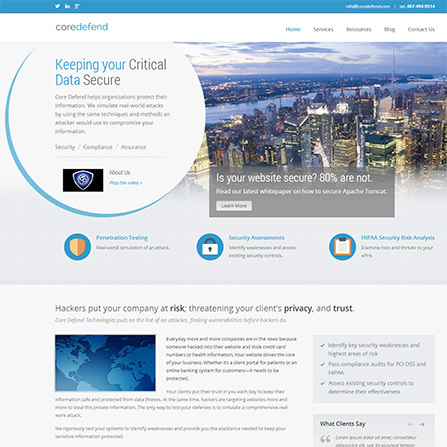 Core Defend Technologies specializes in securing the SMB sector and needed their online business vectors to understand the sophistication of their services. Titanium Technology Solutions aimed to bring a corporate feel to a their online branding while intuitively expressing Core Defend’s line of services. USMLEagle Prep, LLC offers review courses for the United States Medical Licensing Examination. USMLEagle's customers often travel great distances to attend their outstanding programs and needed their potential customers to fully understand their advantages over the competition. 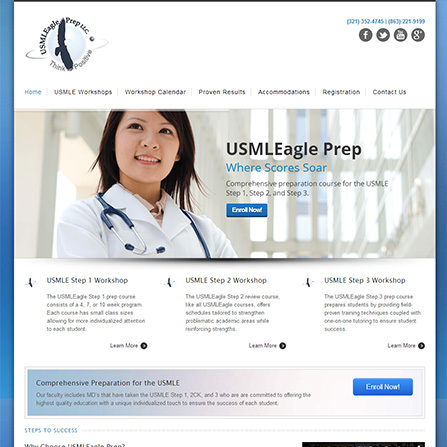 After getting to know their business, Titanium Technology Solutions built an all-inclusive online branding solution for USMLEagle Prep, LLC giving them an edge over their competitors.